"Every Student, Every Day; Whatever It Takes"
There is something for everyone at Royal Oak Middle School! Royal Oak’s Award-Winning Performing Arts Academy! Perform in our beautiful H. K. Baird Theater! Royal Oak’s Science, Technology, Engineering, Arts & Math (STEAM) Academy! 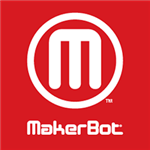 Learn to code and design with Micro:bits in PLTW Innovative Technology. Gifted and Talented (GATE) Academy! Download the free COUSD App! ***More updates can be found under the Parent Menu at the top of the page under Upcoming Events. Charter Oak USD Registration process is online. New students and families, please see below or call the Counseling Office at 626-967-6354 ext. 50215 or 2014 for new student registration. ***Tdap (Tetanus, Diphtheria, Pertussis) vaccination is required for all incoming 7th and 8th grade students*** Students will not be allowed to pick up a schedule or attend classes until proof of vaccination is submitted. If you have your child's proof of vaccination already, please bring it to the school office ASAP during the office hours listed above. *Did you know that Royal Oak Middle School is part of the Office Depot Give Back to Schools program? Show the Royal Oak School ID (70007167) and Royal Oak will receive 5% back in credit for FREE supplies when you make a purchase. Your support is greatly appreciated! And don’t forget to share with others! The 2018-2019 Data Confirmation/Student Pre-Registration window will open on July 16, 2018. Welcome to Royal Oak Middle School in the Charter Oak Unified School District. Royal Oak Middle School, a California Distinguished School, Gifted and Talented Education Academy (GATE), Performing Arts Academy and Project Lead The Way (PLTW)/STEAM, serves students in grades 7-8 in a student-centered, professional learning community that connects the elementary years with the high school experience. Small Learning Communities/Cores: Cores focus on meeting the particular needs of the middle grades adolescent. Parent Involvement Opportunities: Parent Teacher Association (PTA); School Site Council (SSC); English Language Acquisition Committee (ELAC). If you have any questions, or need to speak with a staff member, please contact the Royal Oak Main Office at (626) 967-6354. Come to Royal Oak- We are looking for students, parents, community and staff members who are willing to join us on this exciting and adventurous mission of learning and self-discovery for our students. Hablamos Espanol.